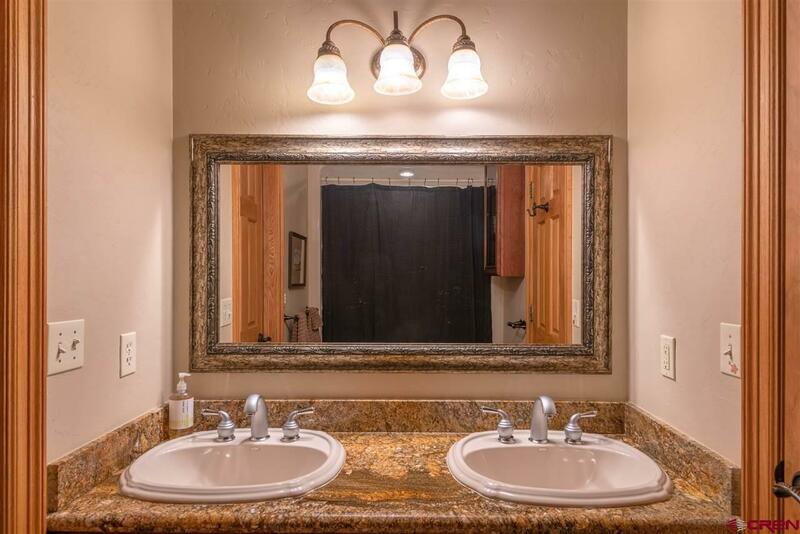 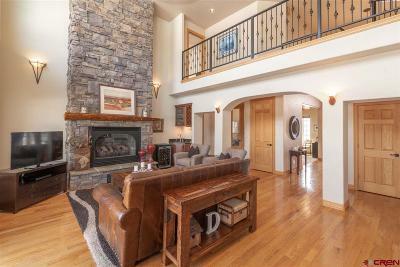 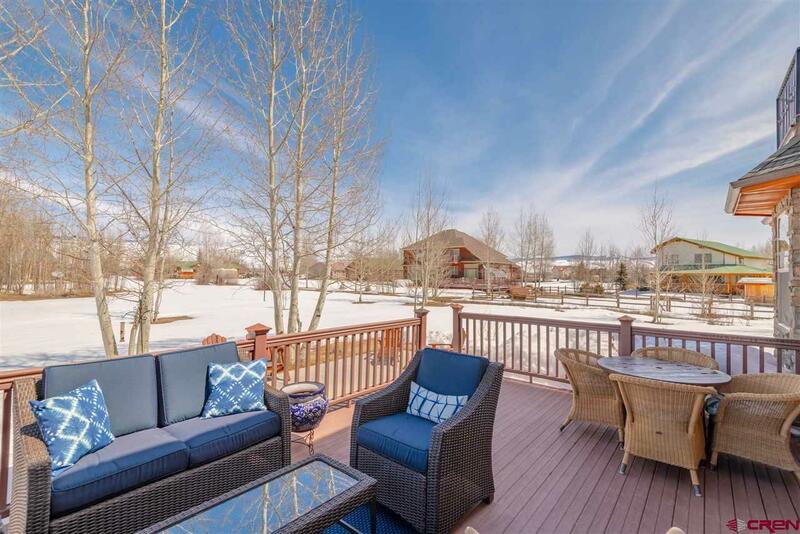 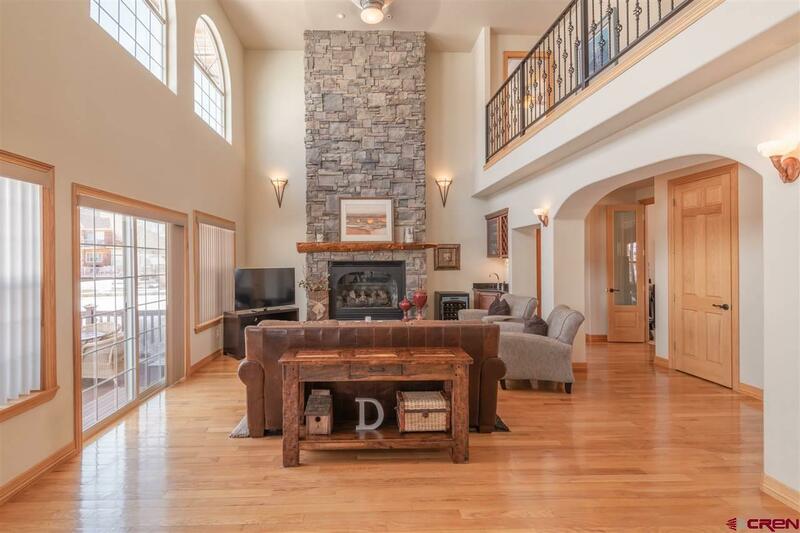 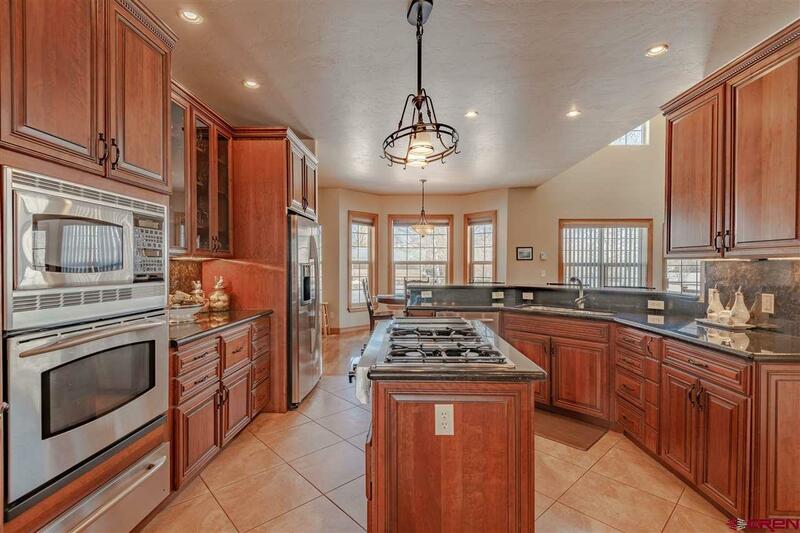 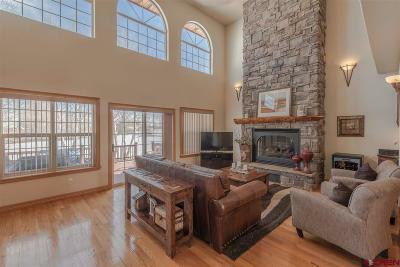 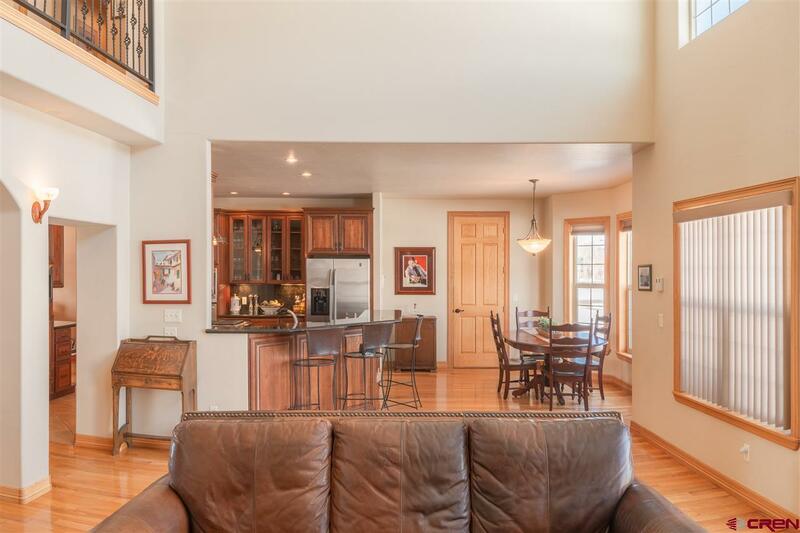 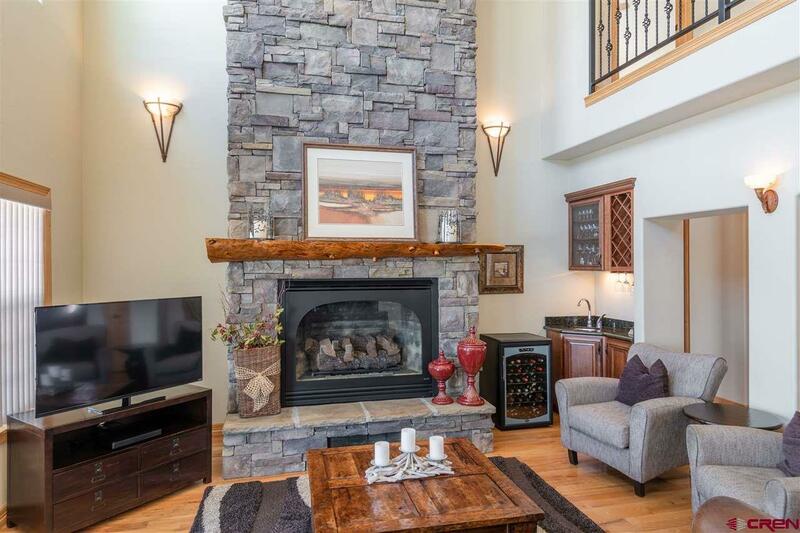 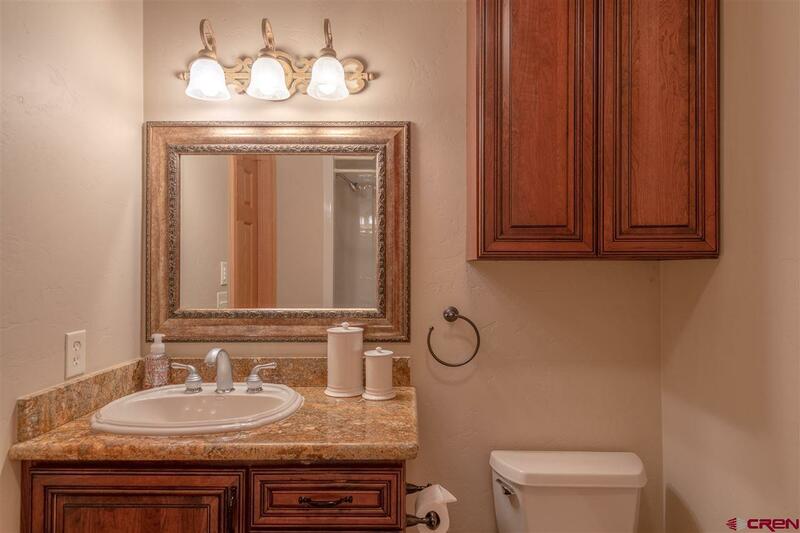 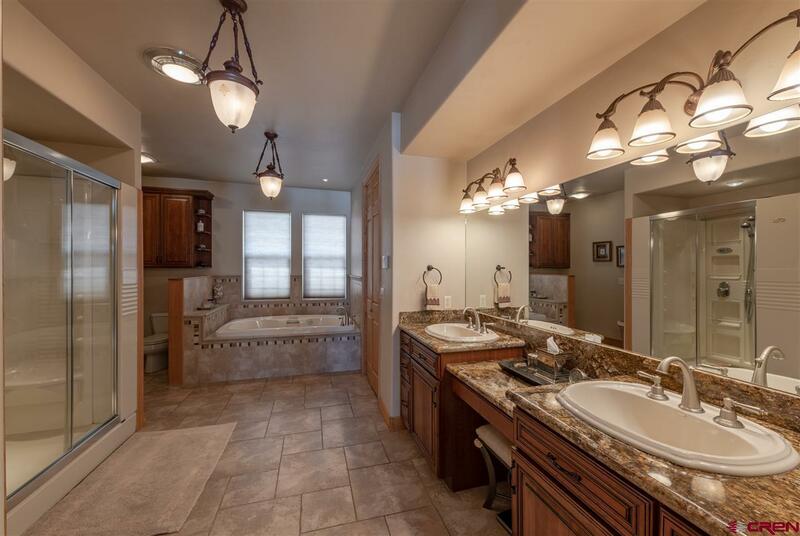 386 Meadow Lark Trail is the crown jewel in the highly coveted North Elk Meadows subdivision. 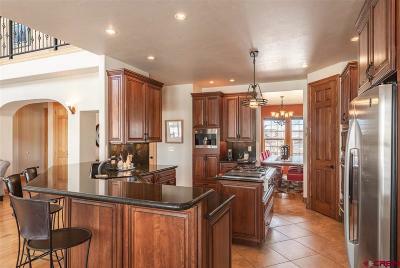 This gorgeous custom built home has been meticulously maintained and is a very rare offering for the area. 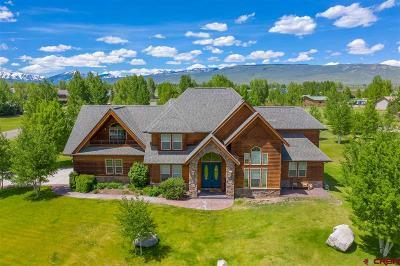 This home boasts 3, 648 square feet of living space with four bedrooms and three and half bathrooms and is centered on a spacious one acre lot. Walking in to the front door, you&apos;re greeted with a beautiful entry and grand staircase under cathedral ceilings. The living room is centered around a massive stone gas fireplace and the high ceilings allow for so much natural light and space. There is a nice wet bar in the corner, perfect for entertaining. 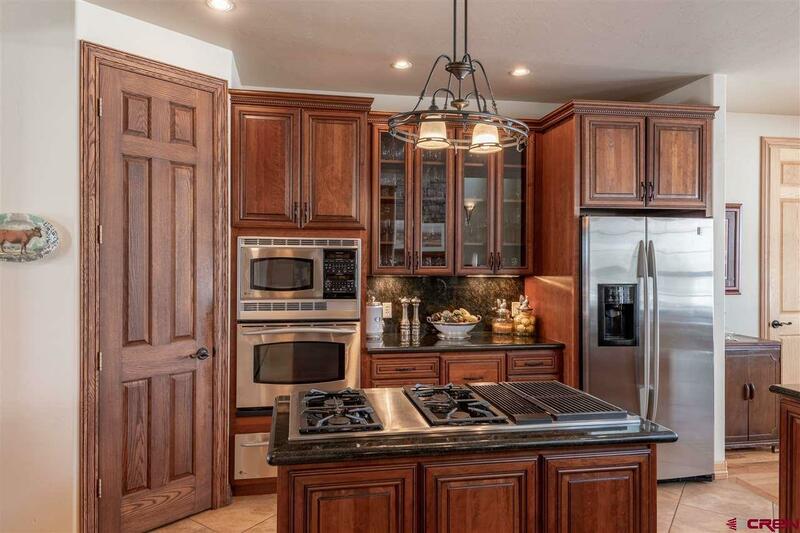 The kitchen is absolutely incredible with black granite counter tops and custom cabinetry plus has all the wonderful amenities one would expect in this caliber of home including the built in Miele coffee maker, gas burner range, warming drawer and wall oven. 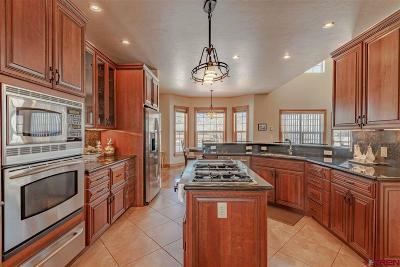 There is a large pantry to store all of your food as well. 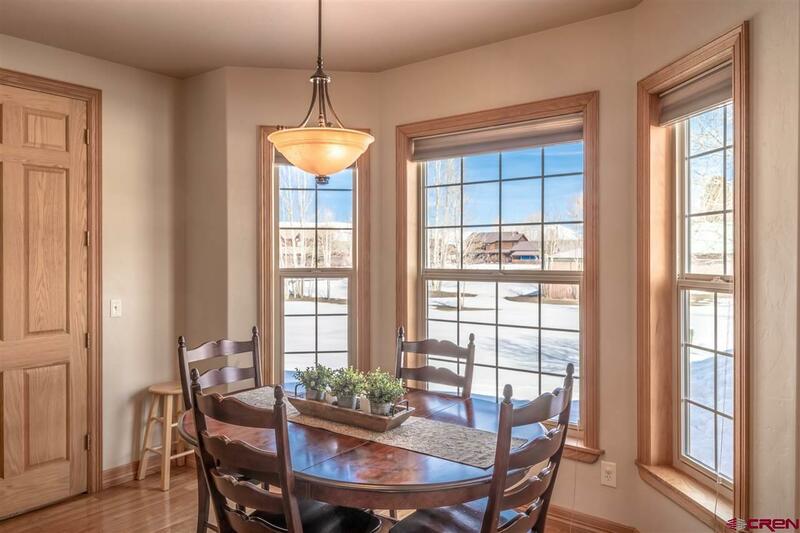 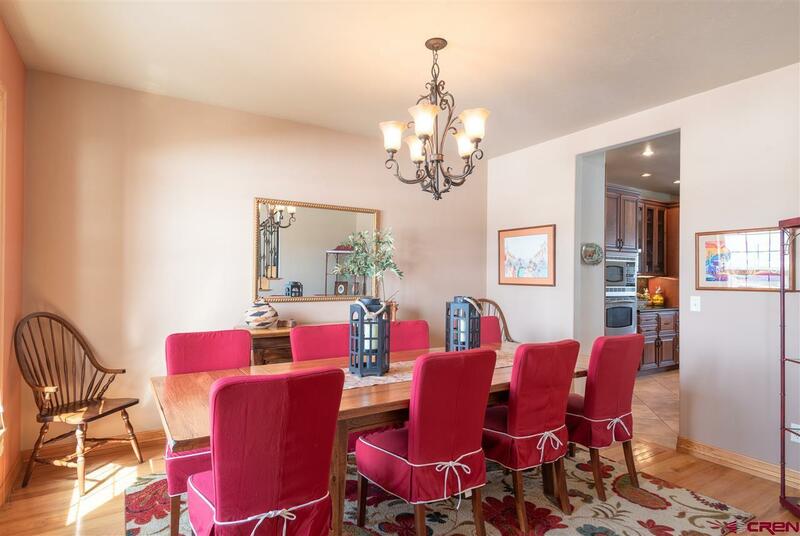 The formal dining room sits just off the kitchen or you can enjoy casual meals at the sunny breakfast nook. 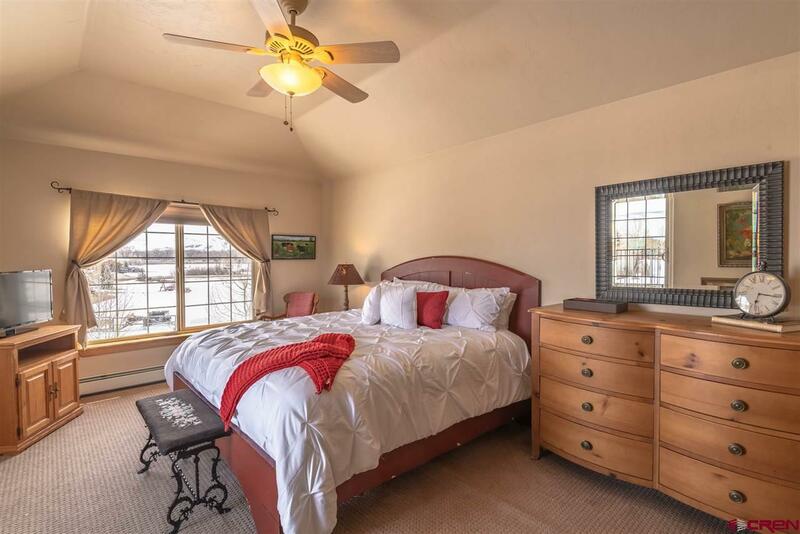 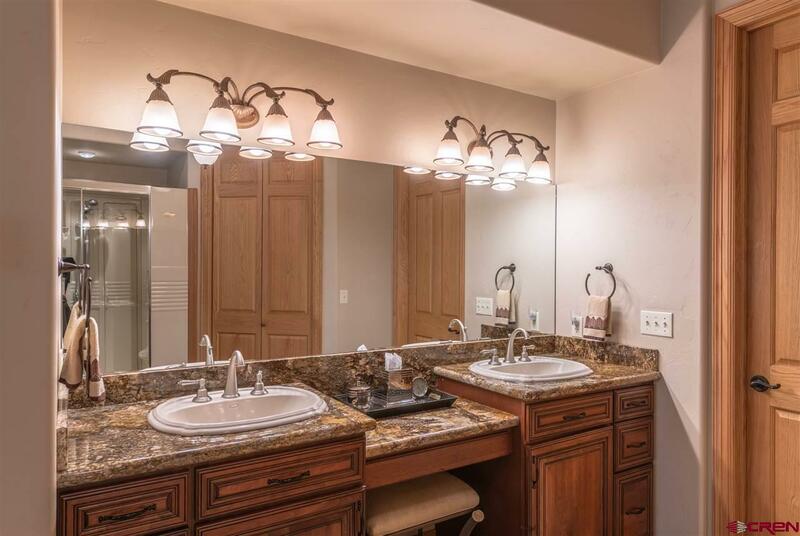 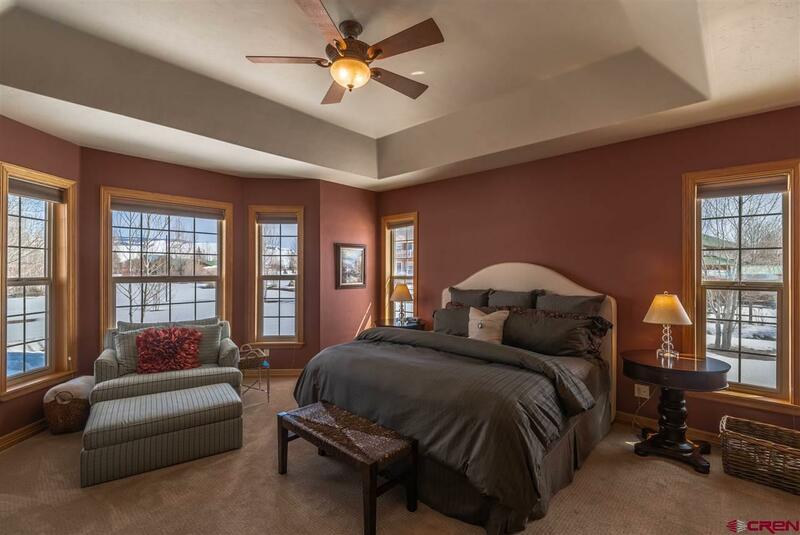 The expansive master suite is located on the main floor and has a beautiful en-suite bathroom with double vanity, large jetted tub, jetted shower and two large closets. 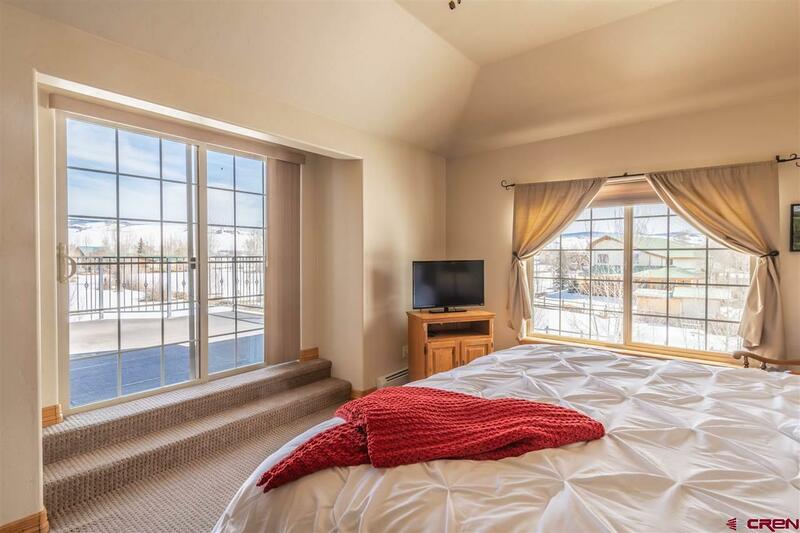 Upstairs is the junior suite with a gas fireplace, private balcony with mountain views and an en-suite bathroom. 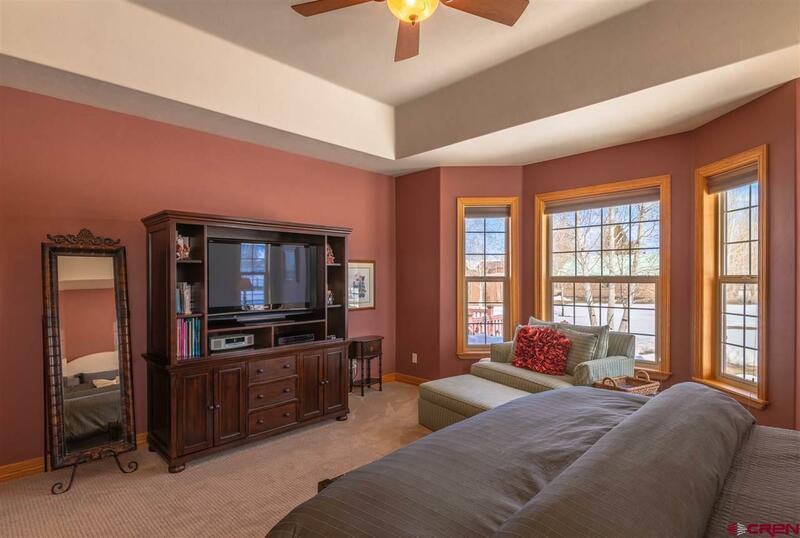 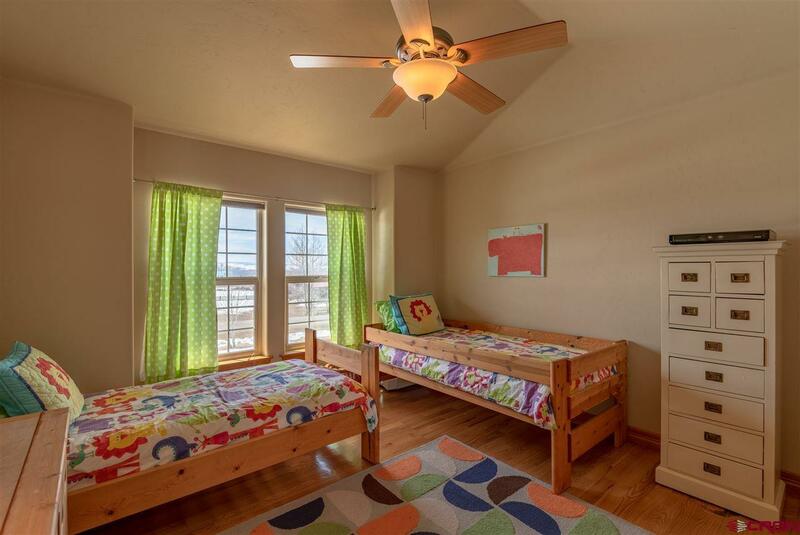 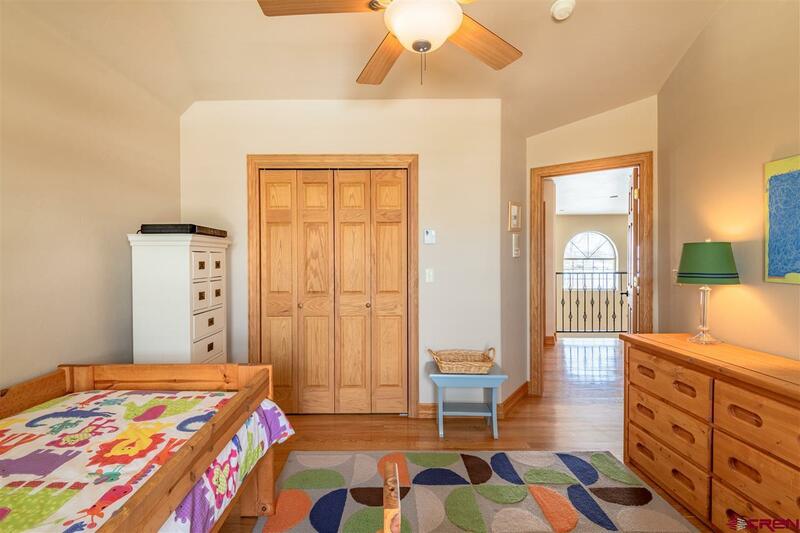 There are two more bedrooms and a bathroom on the second floor. 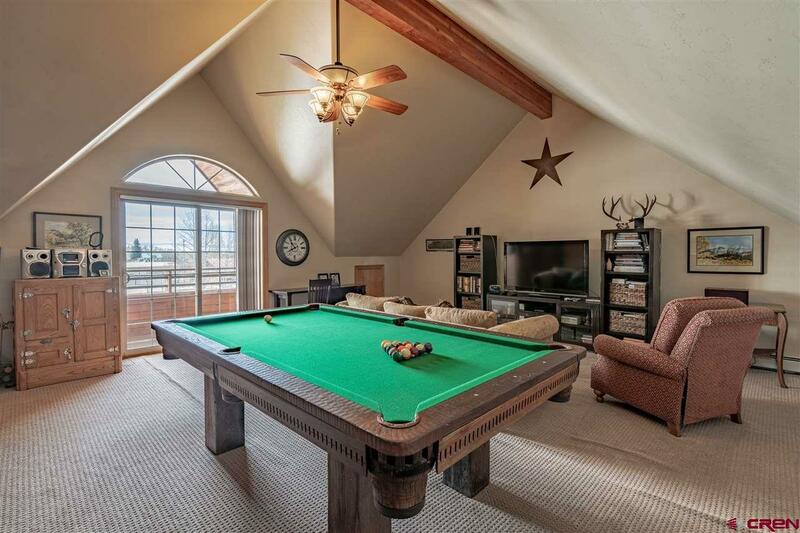 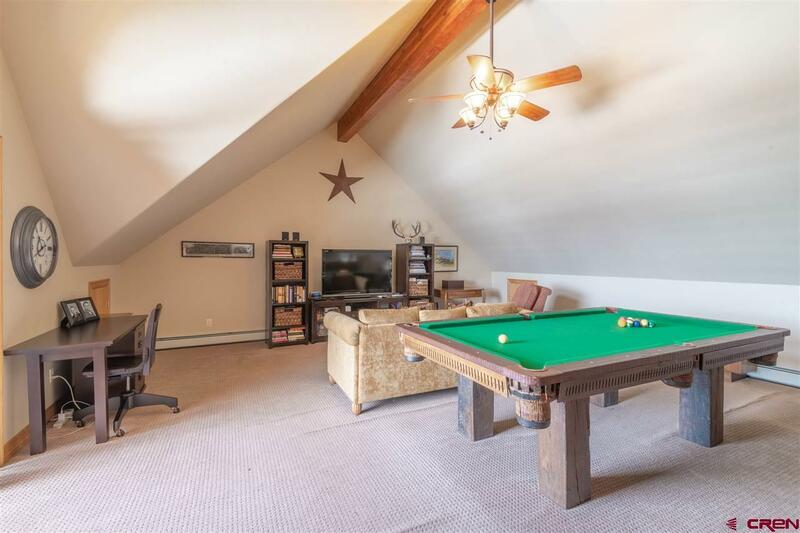 You can enjoy all of the sporting events and entertaining your friends in the huge rec room with a pool table and plenty of room for everyone to have fun. 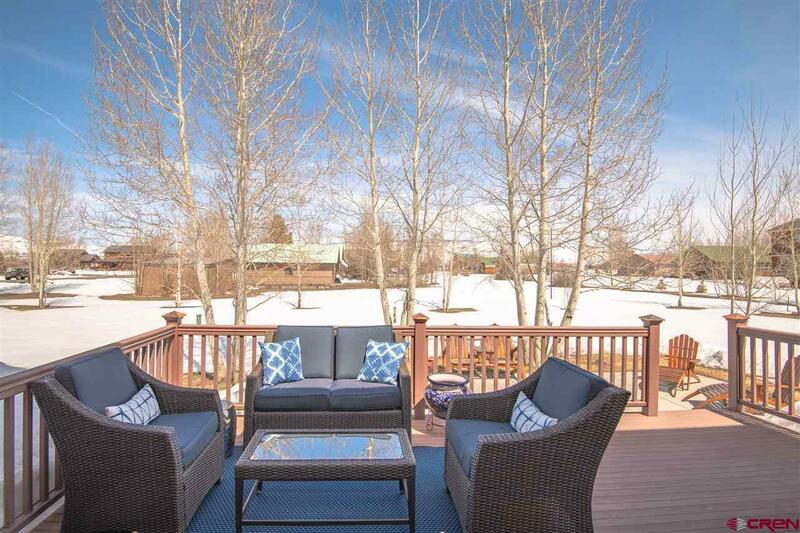 There is even a south facing balcony to enjoy the sunny afternoons. 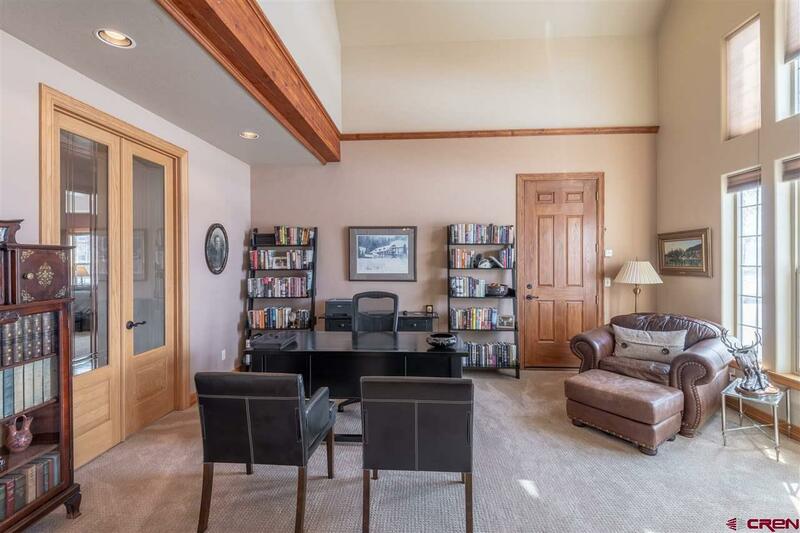 The three car, over sized attached garage has plenty of room for all of your gear. 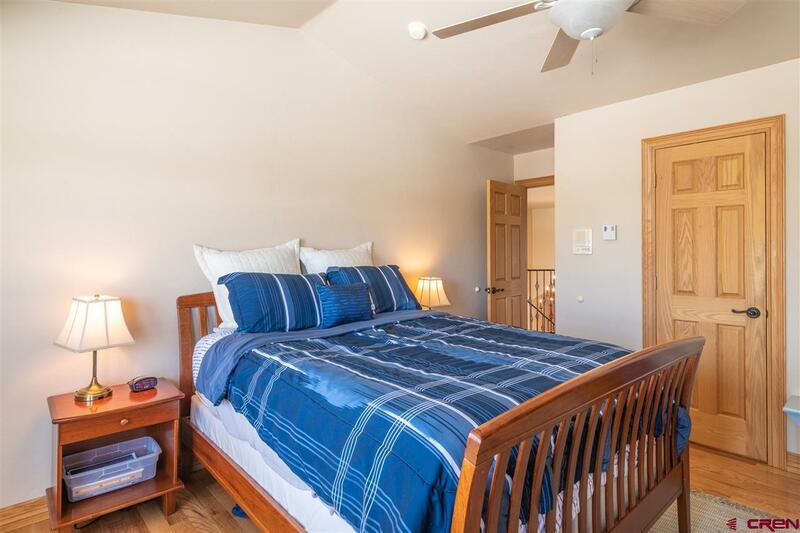 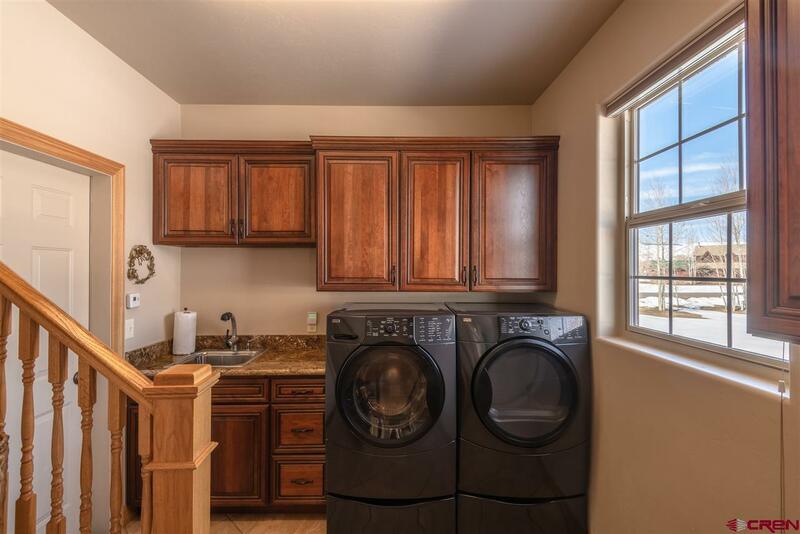 Additional amenities offered in this fine home are in-floor radiant heat, hardwood floors, a large home office, laundry room, intercom system and central vacuum. 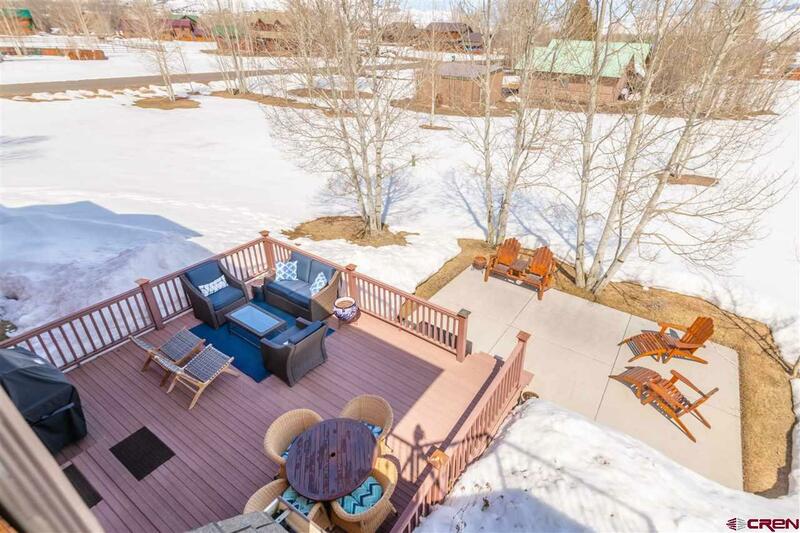 You can enjoy the perfect Colorado summer days on the deck and running around the level yard playing games. 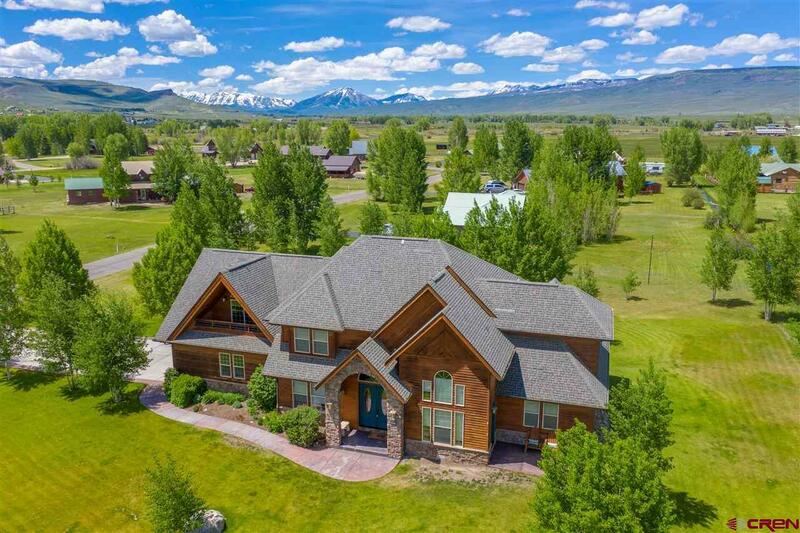 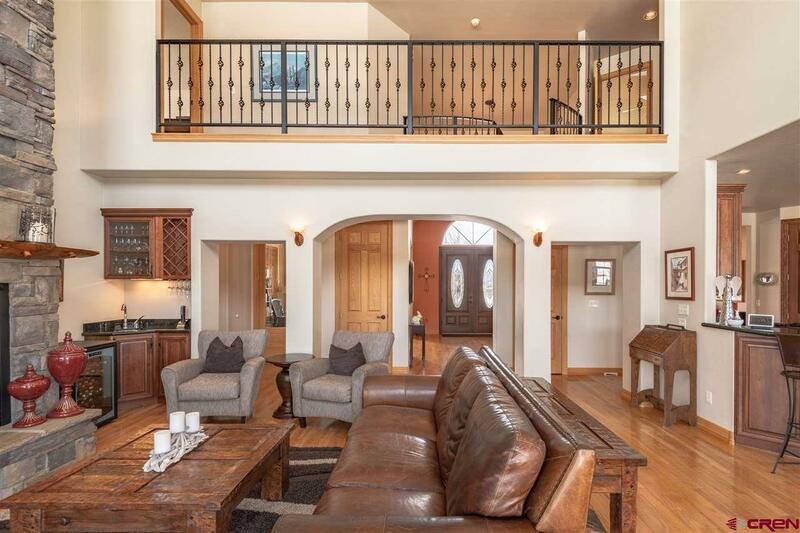 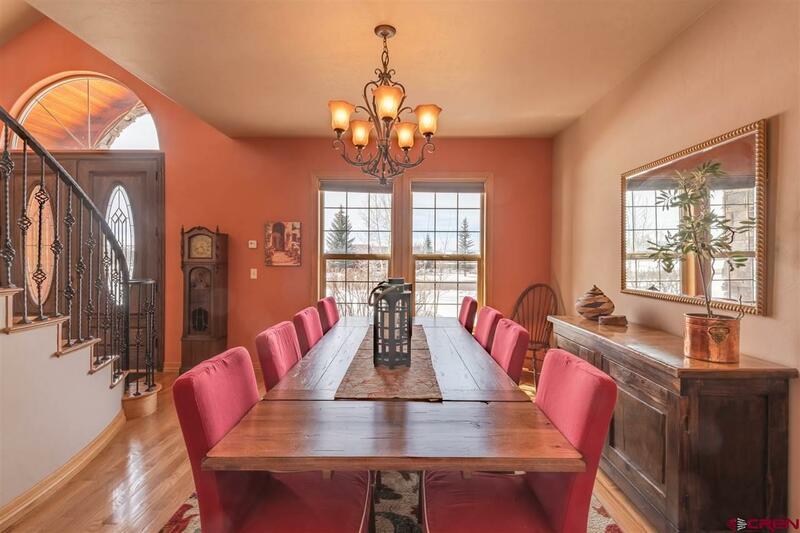 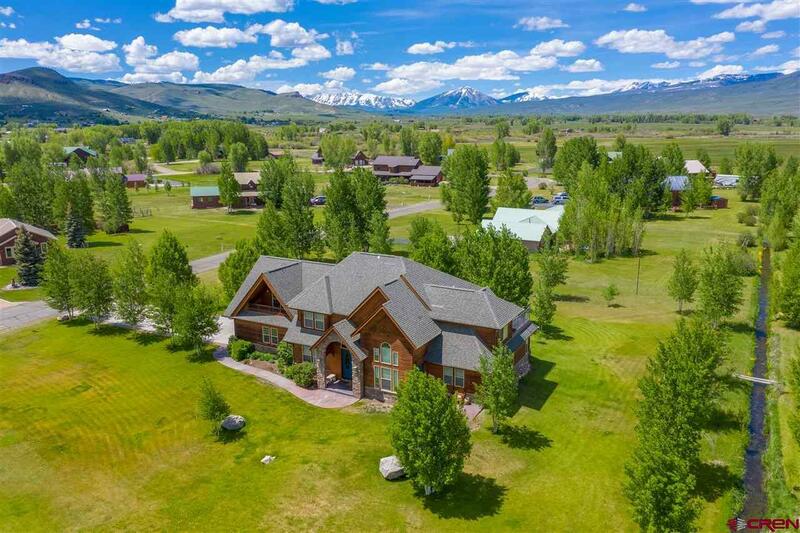 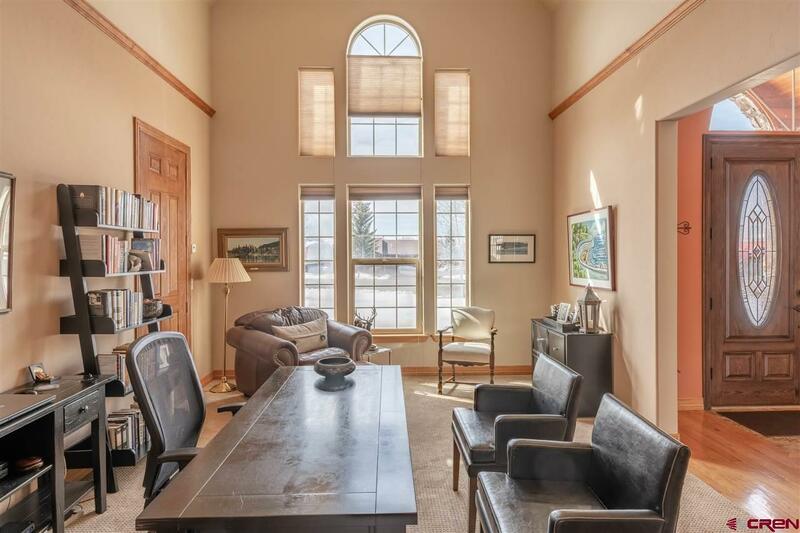 This unique home truly has it all and is located only a short 3.6 miles from Gunnison and 24 miles from Crested Butte. 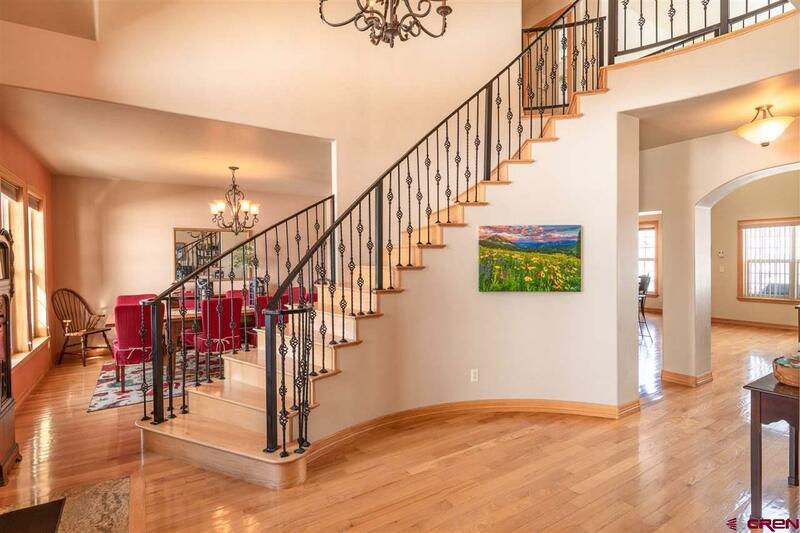 This is a remarkable property in a wonderful location!